eLumen8 CP230 2 Channel Cable Ramp, Designed for use in the event market to protect cable runs from light road traffic, or from pedestrian traffic reducing the risk of trips and falls. 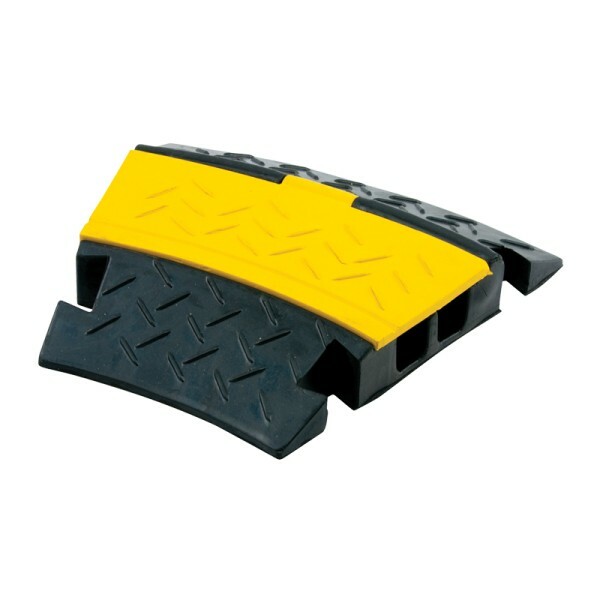 Manufactured from durable virgin rubber these cable protectors feature flexible, yellow lids protecting the cables inside while remaining visible in darkened environments. eLumen8 CP230C 2 Channel Cable Ramp 30 Degree Corner, Designed for use in the event market to protect cable runs from light road traffic, or from pedestrian traffic reducing the risk of trips and falls. Manufactured from durable virgin rubber these cable protectors feature flexible, yellow lids protecting the cables inside while remaining visible in darkened environments. eLumen8 CP230E 2 Channel Cable Ramp End Terminals (Pack of 2), Designed for use in the event market to protect cable runs from light road traffic, or from pedestrian traffic reducing the risk of trips and falls. Manufactured from durable virgin rubber these cable protectors feature flexible, yellow lids protecting the cables inside while remaining visible in darkened environments. eLumen8 CP535 5 Channel Cable Ramp, Designed for use in the event market to protect cable runs from light road traffic, or from pedestrian traffic reducing the risk of trips and falls. Manufactured from durable virgin rubber these cable protectors feature flexible, yellow lids protecting the cables inside while remaining visible in darkened environments. eLumen8 CP535C 5 Channel Cable Ramp 30 Degree Corner, Designed for use in the event market to protect cable runs from light road traffic, or from pedestrian traffic reducing the risk of trips and falls. Manufactured from durable virgin rubber these cable protectors feature flexible, yellow lids protecting the cables inside while remaining visible in darkened environments. 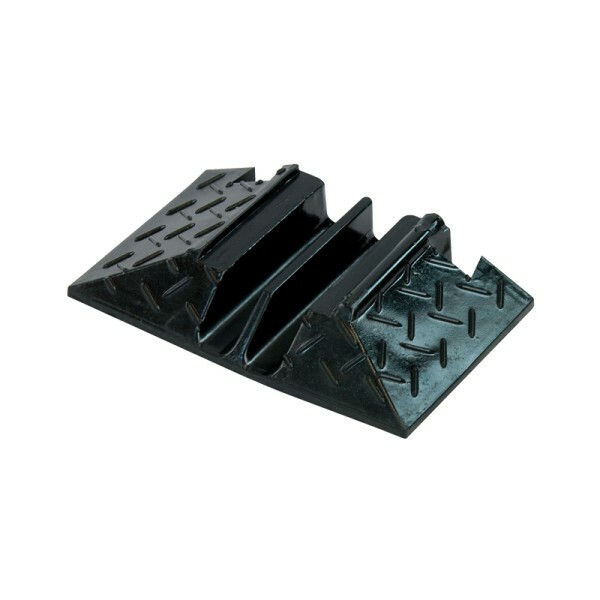 Elumen8 CP230CB 2 Channel Cable Ramp 30 Degree Corner (Black Lid), Designed for use in the event market to protect cable runs from light road traffic, or from pedestrian traffic reducing the risk of trips and falls. Manufactured from durable virgin rubber these cable protectors feature flexible, yellow lids protecting the cables inside while remaining visible in darkened environments. 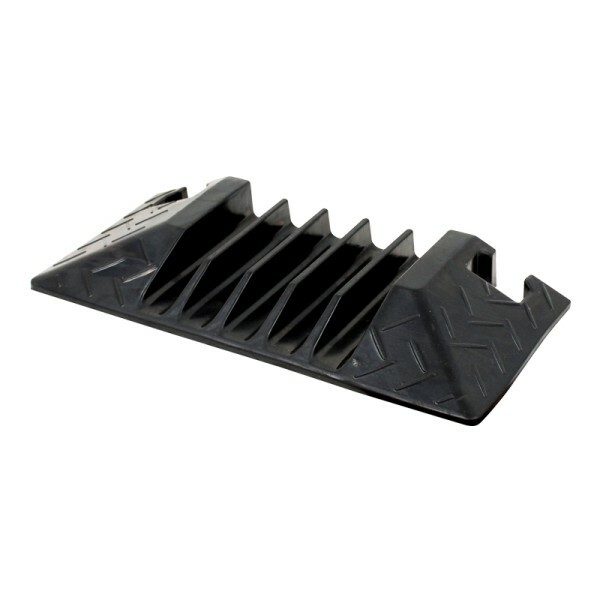 Elumen8 CP535CB 5 Channel Cable Ramp 30 Degree Corner (Black Lid), Designed for use in the event market to protect cable runs from light road traffic, or from pedestrian traffic reducing the risk of trips and falls. 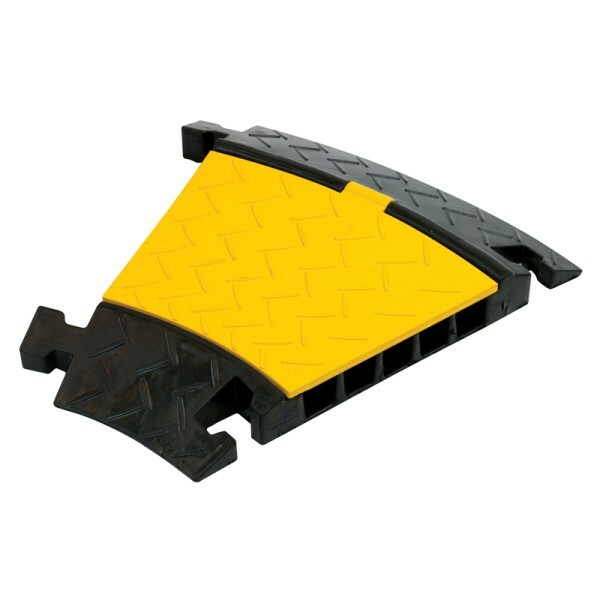 Manufactured from durable virgin rubber these cable protectors feature flexible, yellow lids protecting the cables inside while remaining visible in darkened environments. 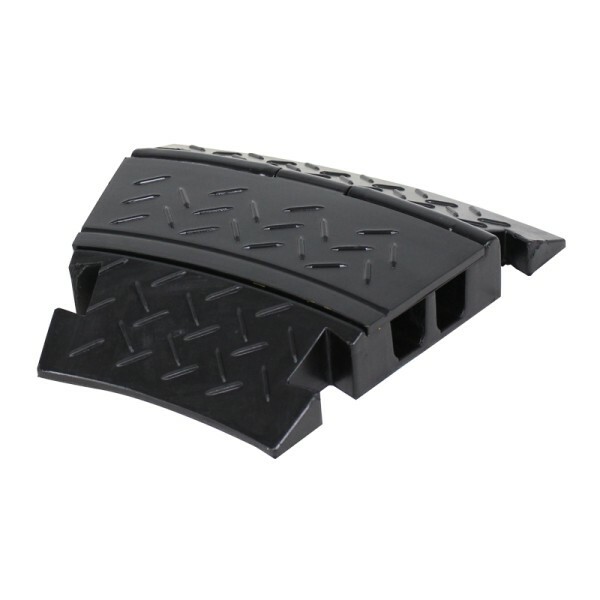 CP230B 2 Channel Cable Ramp (Black Lid), Designed for use in the event market to protect cable runs from light road traffic, or from pedestrian traffic reducing the risk of trips and falls. Manufactured from durable virgin rubber these cable protectors feature flexible, black lids protecting the cables inside. 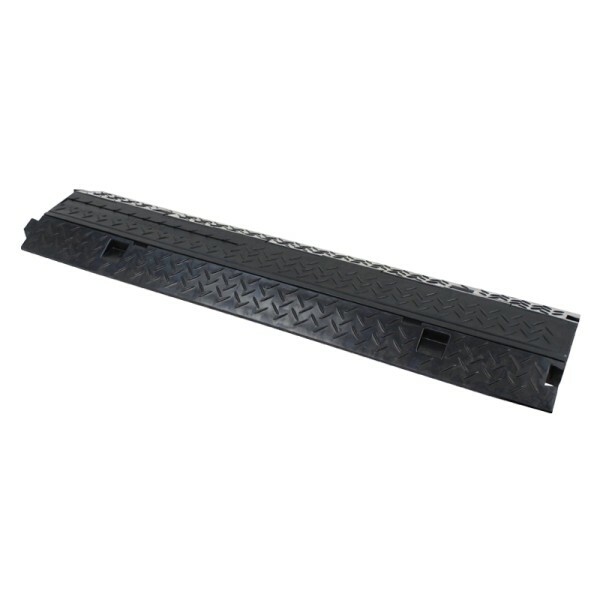 CP535B 5 Channel Cable Ramp (Black Lid), Designed for use in the event market to protect cable runs from light road traffic, or from pedestrian traffic reducing the risk of trips and falls. Manufactured from durable virgin rubber these cable protectors feature flexible, black lids protecting the cables inside. 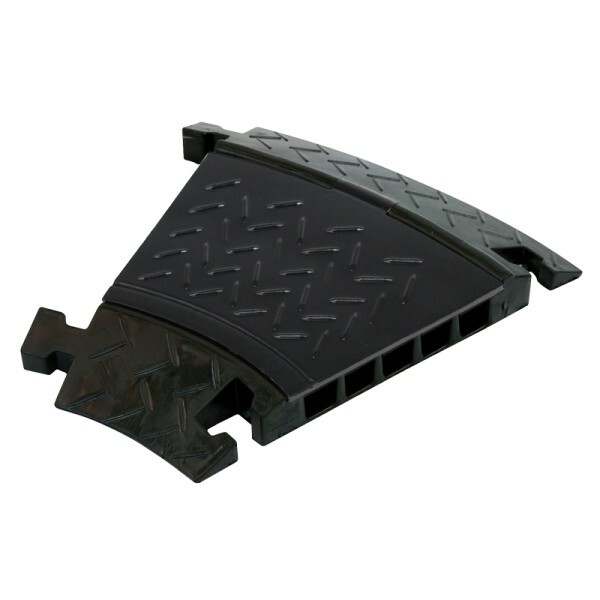 CP535E 5 Channel Cable Ramp End Terminal, Designed for use in the event market to protect cable runs from light road traffic, or from pedestrian traffic reducing the risk of trips and falls. 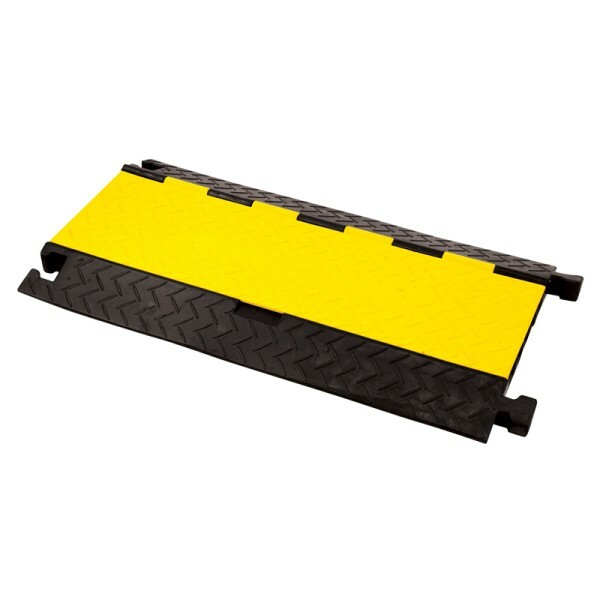 RR120 10m Rubber Cable Ramp, Designed for use in the event market to protect cable runs from light road traffic, or from pedestrian traffic reducing the risk of trips and falls. 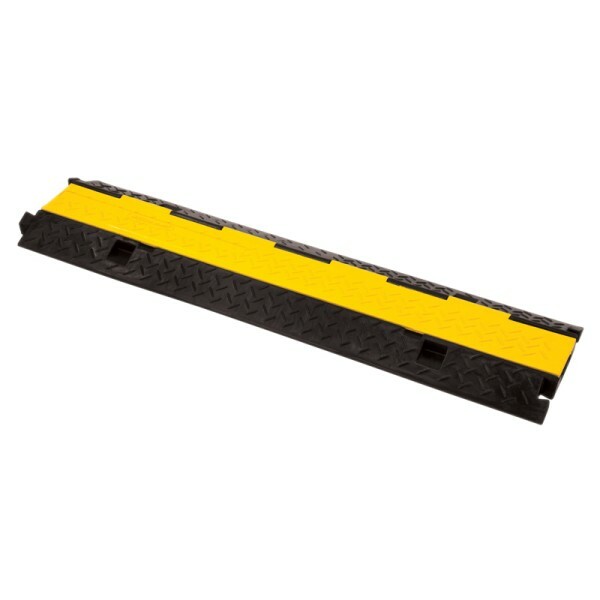 CP140Y Drop Over Cable Ramp Yellow, Designed for use in the event market to protect cable runs from pedestrian traffic reducing the risk of trips and falls. 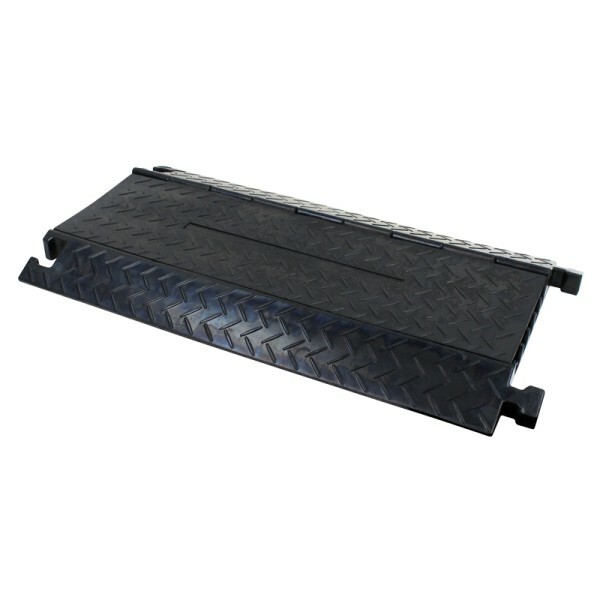 CP140B Drop Over Cable Ramp Black, Designed for use in the event market to protect cable runs from pedestrian traffic reducing the risk of trips and falls. eLumen8 3mm Rubber Matting, 10 x 0.9m Roll, Fluted, eLumen8 COBArib mats are made of a hardwearing natural black rubber with a fine fluted ribbed surface for slip-resistance, commonly used in the events industry for walkways and cable concealment. They are also ideal for use around industrial workstations offering a durable surface on floors and benches, whilst providing insulation against cold surfaces and helping to reduce noise. 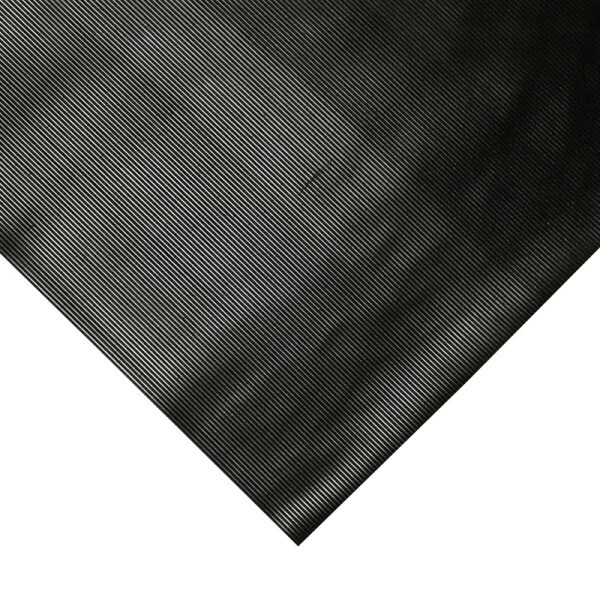 eLumen8 3mm Rubber Matting, 10 x 1.2m Roll, Fluted, eLumen8 COBArib mats are made of a hardwearing natural black rubber with a fine fluted ribbed surface for slip-resistance, commonly used in the events industry for walkways and cable concealment. They are also ideal for use around industrial workstations offering a durable surface on floors and benches, whilst providing insulation against cold surfaces and helping to reduce noise.